Separation of Cement pastes from the concrete during its plastic stage. Concrete is a mixture of Cement, fine and coarse aggregates. A good concrete is one which all the constituents are properly categorized to form a homogeneous mixture. 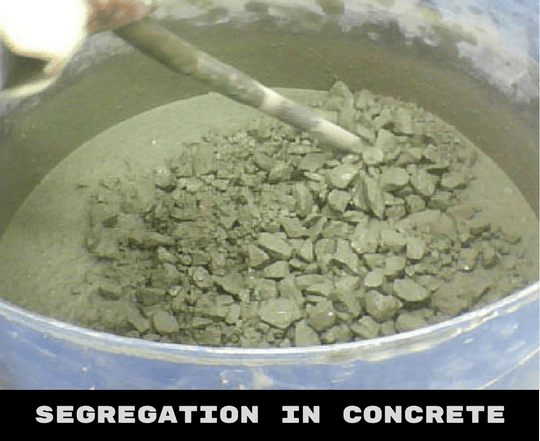 The primary cause of Segregation in concrete is the differences in specific gravities of the constituents, Specific gravity of Cement is in between 3.1-3.6g/cc, and for aggregate it lies between 2.6-2.7g/cc due to this differences, the aggregate separates from the matrix and causes segregation in concrete. Transporting concrete mixes for long distances. Poorly proportioned mix, where sufficient matrix is not there to bind the aggregates. Dropping concrete from more than 1m. Vibrating concrete for a long time. 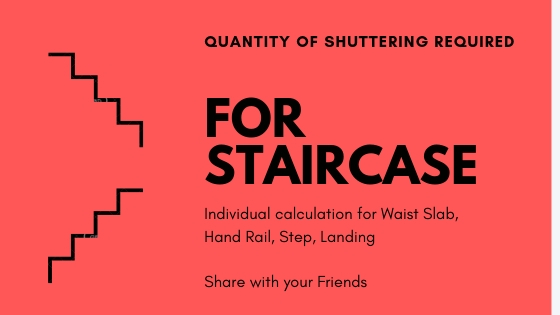 Segregation can be controlled by maintaining proper proportioning the mix. By peculiar handling, placing, transporting, compacting and finishing of concrete. Adding air entraining agents, admixtures and pozzolanic materials in the mix segregation controlled to some extent. Bleeding is a form of segregation in which water present in the concrete mix is pushed upwards due to the settlement of cement and aggregate. The specific gravity of water is low, due to this water tends to move upwards. 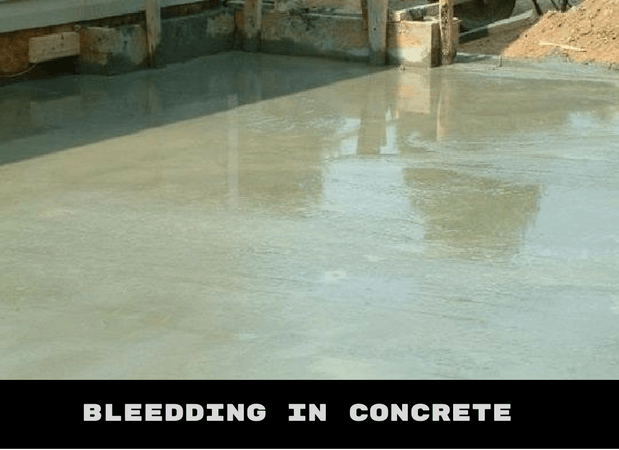 Bleeding ordinarily occurs in the wet mix of concrete. The Prime factor for bleeding in concrete is the high dosage of Water cement ratio. Higher water-cement ratio weakens concrete and leads to excessive bleeding. The bleeding in concrete is not harmful if the rate of evaporation of water is equal to the rate of bleeding. Normal bleeding is quite good, and it enhances the workability of concrete. 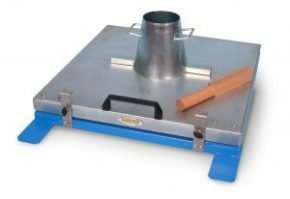 When the concrete is fully plastic, bleeding may not cause much harm. However, concrete is still in the plastic stage later it is subsidized and compacted. As mentioned above, water move upwards in bleeding, sometimes with this water certain amount of cement moved along with water to the concrete surface. When the top surface is worked up with the trowel, the aggregate goes down and cement paste forms at the top surface this is called ‘Laitance in concrete.’ Due to the formation of Laitance, structures may lose its wearing capacity and decreases its life. Water while moving from bottom to the top, forms continuous channels. Due to this channels, concrete becomes permeable and allow water to move, which forms water voids in the matrix and reduces the bond between aggregate and the cement paste. Forming of water at the top surface of concrete results in delaying the surface finishing. Concrete becomes permeable and loses its homogeneity. 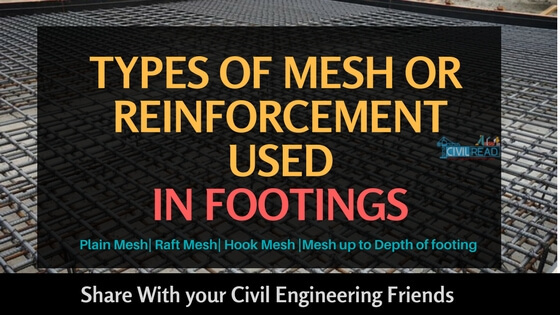 Excessive bleeding breaks the bond between the reinforcement and concrete. Bleeding in concrete is controlled by Adding minimum water content in the concrete mix. 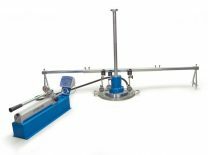 Encouraging the use of air en-training admixtures in the mix. By adding more cement in the mix. There are many types of problems associated with concrete, bleeding and segregation are common.